On October 22, Japan's electorate handed Prime Minister Shinzo Abe a major electoral victory in the Lower House. Despite initial fears that a resurgent opposition party—the Party of Hope—could outflank Abe from his right, his coalition secured enough seats to protect its two-thirds majority. Observers immediately began speculating about the impact of the vote on constitutional reform, specifically changes to Article 9's so-called peace clause, which renounces war and the maintenance of “war potential.” Amending the constitution has long been an electoral plank of the ruling Liberal Democratic Party (LDP), and Abe himself proposed doing just that in debates leading up to the vote. While it is true that parties in favor of revision secured enough seats to pass the legislative hurdle needed to revise Japan's basic law, numerical advantage alone does not tell the whole story. Japan's road to constitutional revision is much more complicated. Some 70 years old, Japan's constitution is the oldest unamended constitution in the world. It was drafted by U.S. officers during the Allied occupation of Japan immediately following World War II. That fact has never sat well with conservatives in Japan. Abe's own LDP has aimed to revise the constitution since 1955, but no government has ever actually tried. Not only do constitutional changes require approval by two-thirds of both houses in Japan's legislature, they also require a public referendum, in which revisions can pass with a simple majority. For decades, that hurdle has seemed too high to clear. Japan's constitution is the oldest unamended constitution in the world. In advance of October's election, many Japanese political analysts argued that constitutional revision would quickly follow an LDP victory. 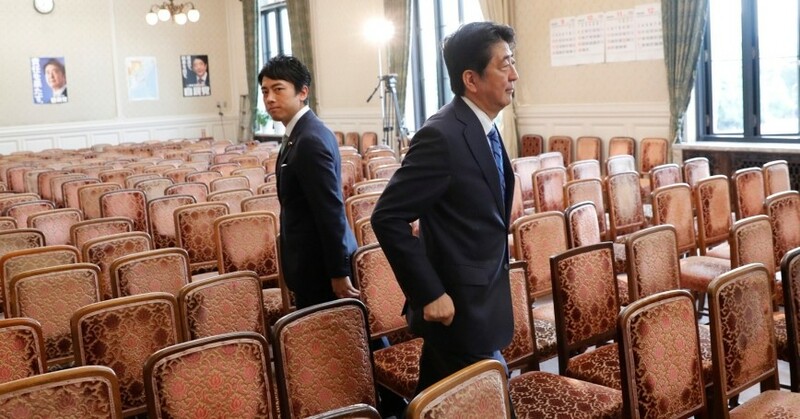 Such an outcome, it was suggested, would bolster Abe's standing in the party and boost his chances of a third term as the LDP's president in next year's leadership contest—which would grant him until September 2021 to pursue his agenda, including a revision of the constitution. The emergence of the conservative Party of Hope to challenge Abe from the right was expected to accelerate these efforts, because the party supported constitutional revision. With a larger number of parliamentarians favoring revision, a two-thirds supermajority was in sight. In the end, the party fared poorly at the polls because of strategic missteps by the party leader, Tokyo governor Yuriko Koike, but its emergence may still have raised the chances of constitutional amendment. Polls by the University of Tokyo and the Asahi newspaper show that 97 percent (266) of the LDP candidates who won are in favor of constitutional revision. Moreover, 42 of the 50 candidates who won under the Party of Hope's banner also openly favor constitutional revision. In short, at the elite level, there is a lot of momentum for change. And that change might not be limited to Article 9, which receives the most attention. Polls show that support for constitutional revision (among both ruling and opposition parties) actually spans a broad array of issues. These include the establishment of national emergency procedures—an issue that outpolls revision of Article 9 among election victors—and the addition to the constitution of a human right to a clean environment, as well as decentralization of power to the prefectures. That said, although Article 9 is an important topic of debate, the same University of Tokyo–Asahi poll shows that revising it receives little support outside of the LDP. Only three winners from the LDP's coalition partner, the Komeito, and five from the Party of Hope indicated it as a priority. And Abe cannot revise the article without help from partners in both houses of parliament. Assuming, however, that Abe could garner the necessary two-thirds support in both chambers, constitutional revision still needs to pass a national referendum. Yet the public does not show the same enthusiasm for amendment as its elected leaders. Polls by the Jiji Press find that 44 percent of the public support revision (with 38 percent opposed), but only 29 percent favor amendments to Article 9. By contrast, 62 percent believe the addition of national emergency issues is beneficial, and 27 percent support environment rights. This reveals a simple truth: Obtaining the necessary simple majority from a reluctant public will depend on the revision being sought. For instance, adding national emergency procedures may face little resistance. Direct election of the prime minister or changing the amendment procedure from a two-thirds supermajority to a simple majority, however, would likely face much more opposition. 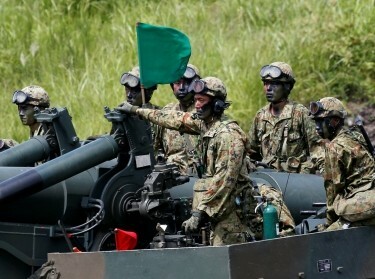 And revision of Article 9 is likely to fail outright, at least in the form that the LDP is proposing now. 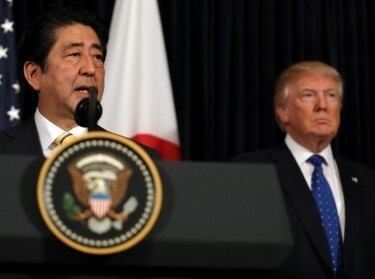 Even though Abe positioned the recent vote as a way for him to seek a mandate for his North Korean policies and his proposal to finance education and child care through funds received from a planned tax hike, it is expected that he will now focus on constitutional revision. As current polls show, however, he has a difficult battle ahead of him, particularly if he zeros in on Article 9 rather than national emergency provisions and the like. 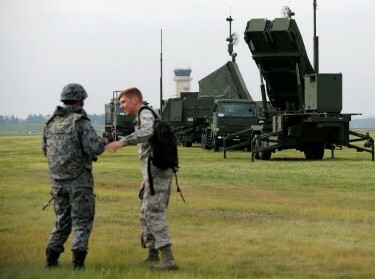 That fact should calm critics who feared that the victory would usher in an era of a new, militarily robust Japan. This commentary originally appeared on Foreign Affairs on October 31, 2017. Commentary gives RAND researchers a platform to convey insights based on their professional expertise and often on their peer-reviewed research and analysis. Previous Blog PostKilling Iran's Economy Won't Help the U.S.Next Blog PostNew York Terror Attack: Can Vehicle Attacks Be Prevented?